Ageing. 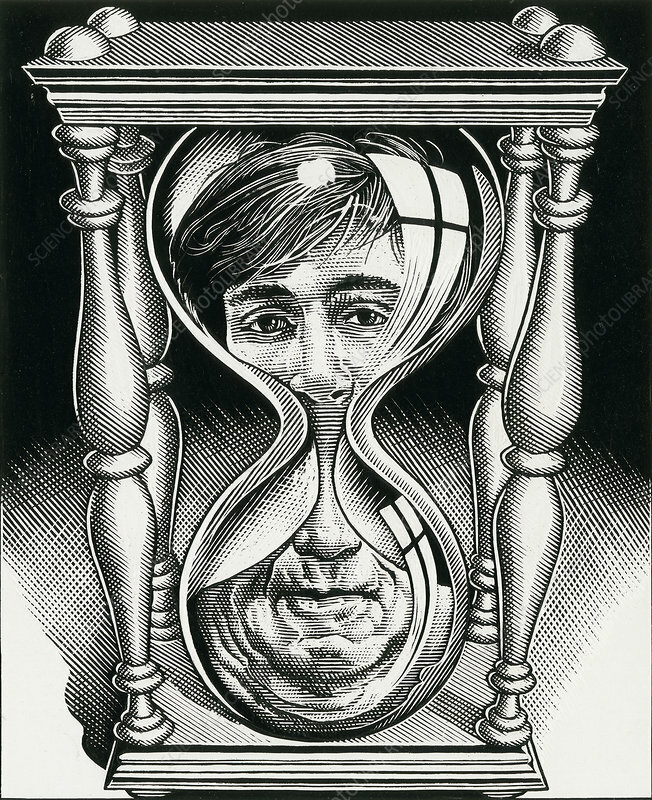 Conceptual artwork of the face of a young man passing through an hour glass and changing into an elderly man. This could represent ageing with time.